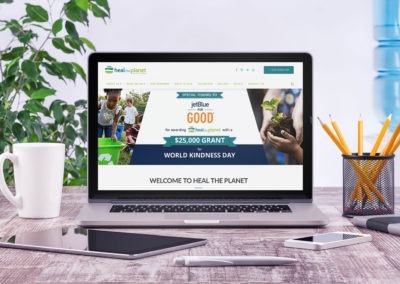 Heal the Planet is a non-profit organization whose mission is to educate and empower the next generation on the substantial impact their daily choices have on their own health and the well-being and sustainability of the planet. As part of this important mission, they need to regularly find new volunteers and donors to help fund their programs and events. 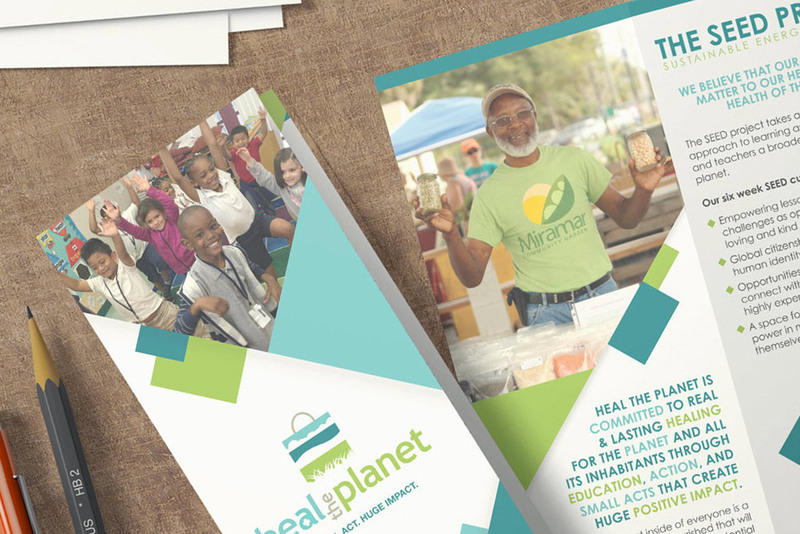 The brochure for non-profit Heal the Planet was needed to help tell their story and attract new donors and volunteers. 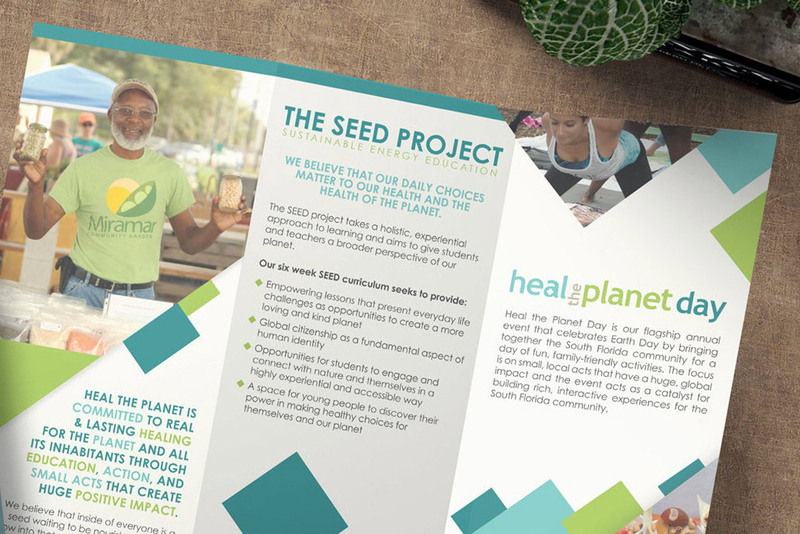 Heal the Planet has several programs and events they wanted to highlight in the trifold brochure such as the SEED Project and Heal the Planet Day. 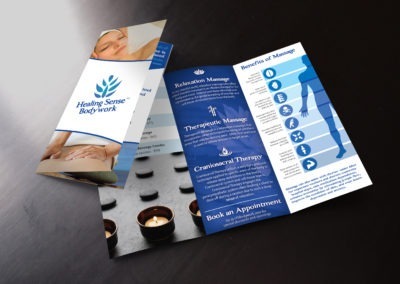 Their mission statement, information on volunteering, donating, and how to contact them all needed to be featured as well in the brochure for the non-profit. KARMA incorporated blocks of color in the design to help guide the reader’s eye through the information. 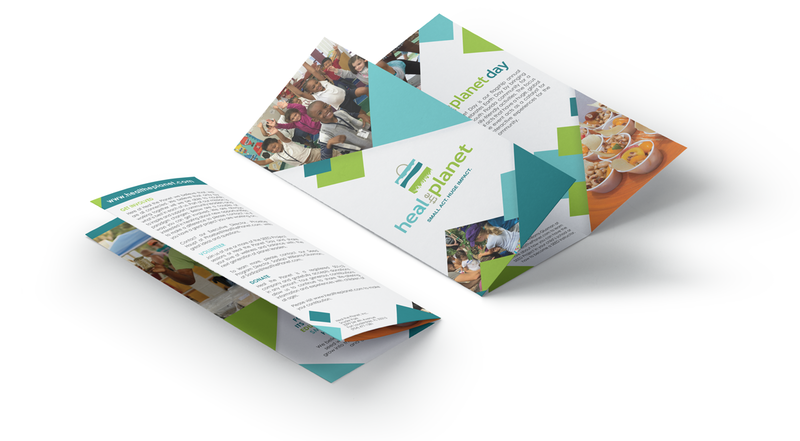 The brochure for the non-profit also utilized images to help convey their brand to their targeted audience highlighting their work with children and the community. 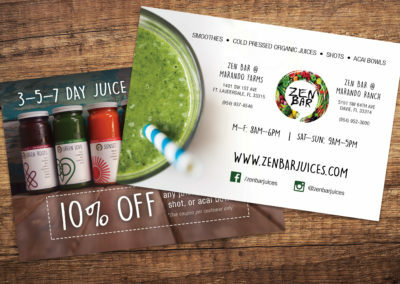 IS YOUR BUSINESS IN NEED OF KARMA? ©2018 Karma Branding & Design, LLC. Namaste.